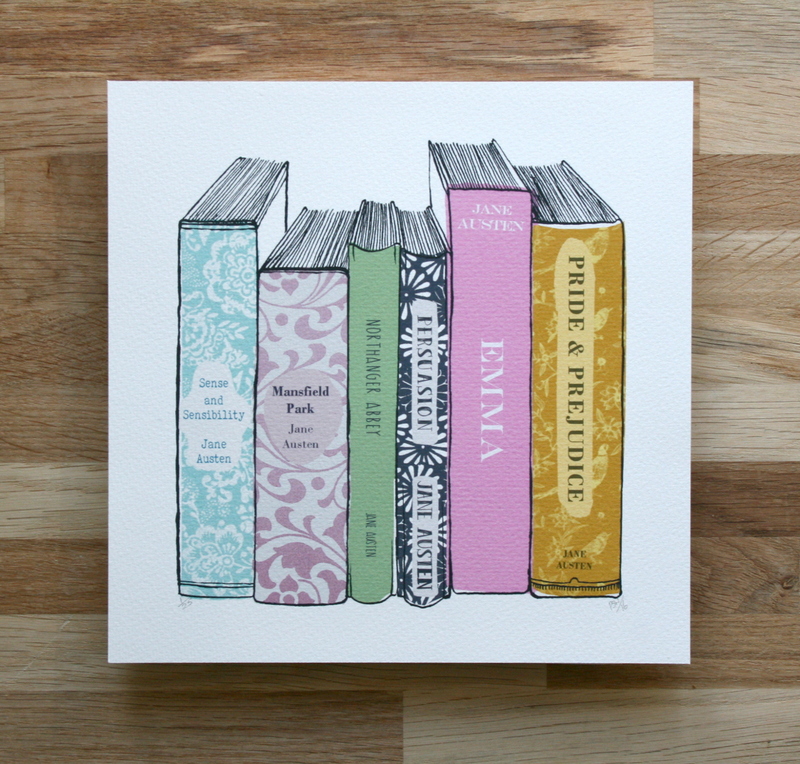 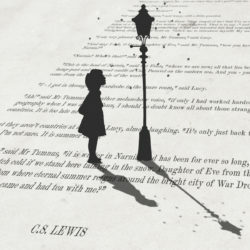 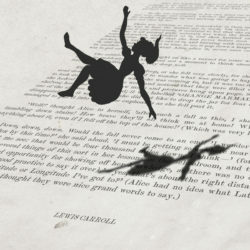 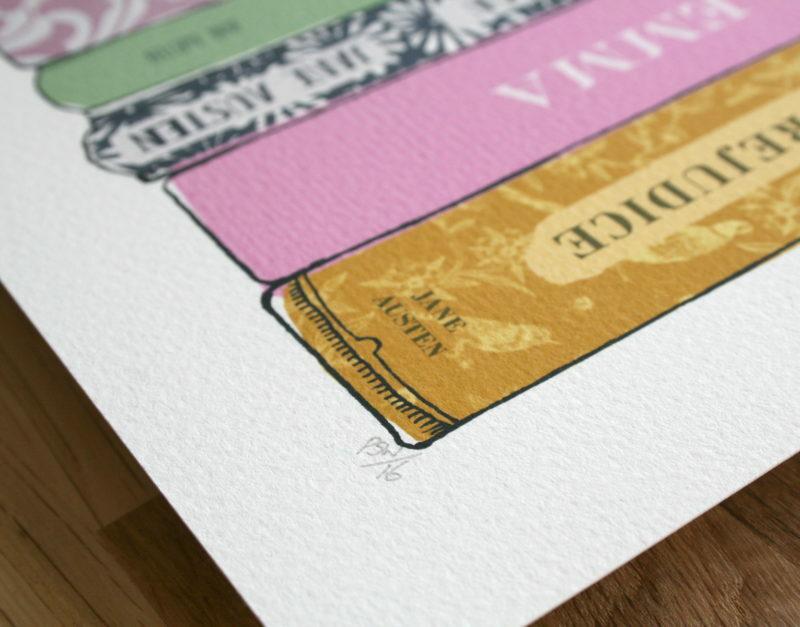 This limited edition, literary inspired artwork features the complete works of the beloved writer, Jane Austen. 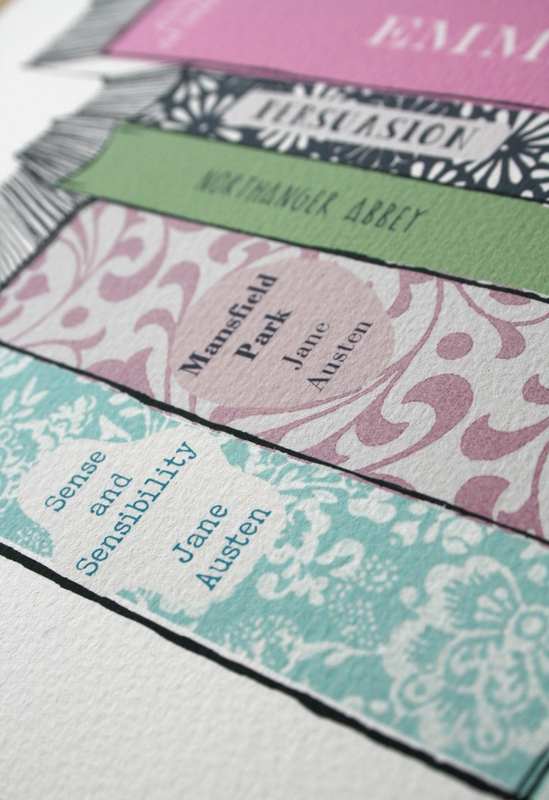 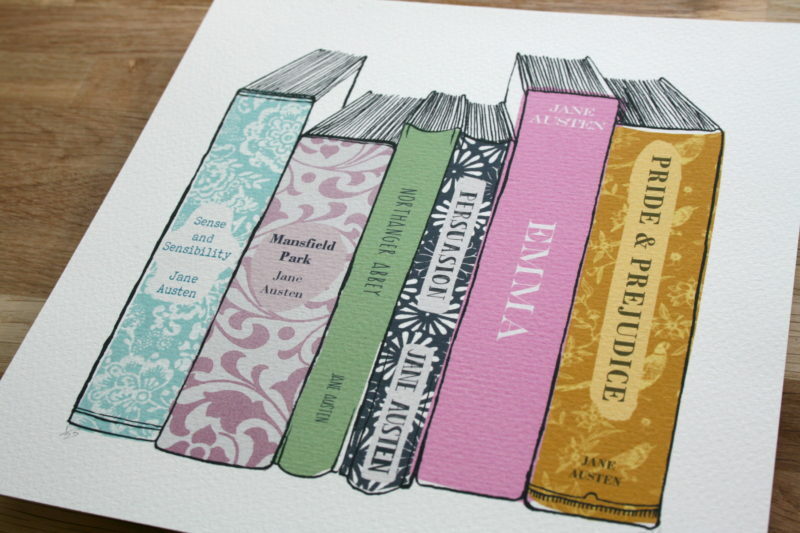 This collection of dazzling novels offers any Austen fan a bookshelf like no other. 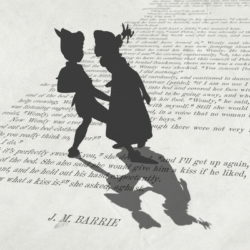 Using a technique that merges a background of traditional illustration with digital art, these 8×8”, simple to frame, limited edition (Run of 50) prints are finished on a textured fine art paper with an archival quality.